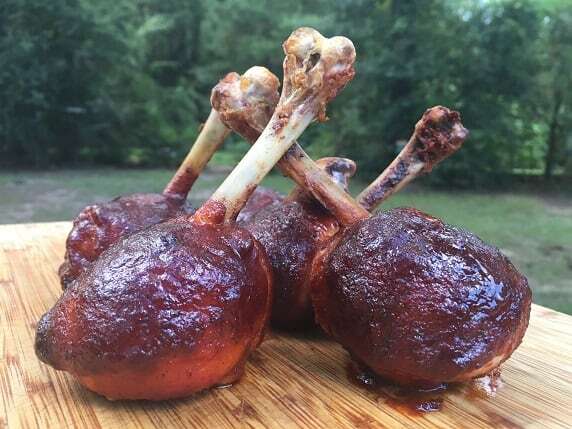 Smoked Chicken Legs: How Long To Cook and Make Them Awesome! 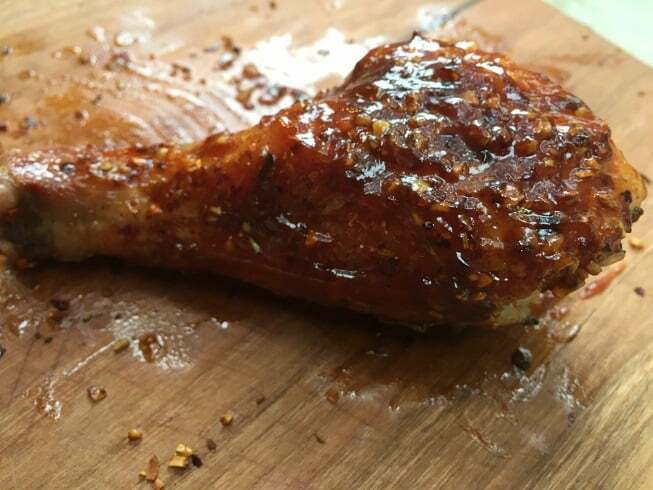 I have been a chicken smoking machine recently and wanted to share some EASY ways to make some awesome smoked chicken legs. I am going to start by showing you the simple way of smoking drumsticks and give you the cooking times at two different temperatures (275 and 325F). From there we are going to step it up and make the best smoked legs you have ever tried. How Long to Smoke Chicken Legs at 275 and 325F. Chicken legs are pretty forgiving on the smoker and you don’t have to do much to make them delicious. I smoked two batches of drumsticks, one at 275F and the other at 325F. Both batches were seasoned with some kicked up poultry rub that had a nice texture and bite. Each batch of legs rested at room temperature for 30 minutes before being placed on the smoker. I took both batches of legs to 170F. Chicken is “done” at 165F but I like to take legs a little higher to loosen the meat up a little from all of the little tendons. I take smoked chicken thighs up a little higher to 180F but they have more fat and deal with the higher heat better. The legs smoked at 275F took 70 minutes to reach 170F. The legs smoked at 325F took 46 minutes to reach 170F. I was surprised that the 50 degree temperature difference decreased the cook time by 52%. There may have been a size difference between the two batches that I didn’t notice? The big take away is to always use a digital thermometer to measure internal temperatures and do not rely solely upon time and temperature guides. These legs got dressed with a little barbecue sauce and were plenty tasty for such a simple technique. When I did this test with smoked chicken breasts I could tell a real difference between the chicken that was smoked at the two different temperatures. The breasts cooked at 275 were much more tender. For these legs I didn’t notice any difference between the two batches. They were equally tender and extremely juicy even without using a poultry brine. While these drumsticks were perfectly fine let’s look at how easy it is to turn them into something spectacular! All it takes is a simple brine and a little bit of knife work to create the best smoked legs your guests have ever tried. Using a brine on these drumsticks has two benefits. The chicken will be even juicier and you can cook it to a higher temperature without it drying out. The higher final temperature will make the meat even more tender. Mix the ingredients and allow the chicken to brine in the refrigerator for 3-4 hours. Remove the chicken from the brine, rinse with cold water and then pat dry with paper towels. Start by running a sharp knife around the base of the drumstick. make sure you cut all the way around and through the tendons. Using a paper towel, grab, twist and remove the cartilage from the base of the leg. Use a pair of scissors and trim away any stray tendons. Press the meat all of the way to the other end of the chicken tho create the lollipop. Season the lollipop liberally with your favorite bbq rub and allow to sit at room temperature for 30 minutes before placing it on your smoker. Place the lollipops on your smoker set at 275F and cook them for an hour to give the rub time to set up and form a crust. 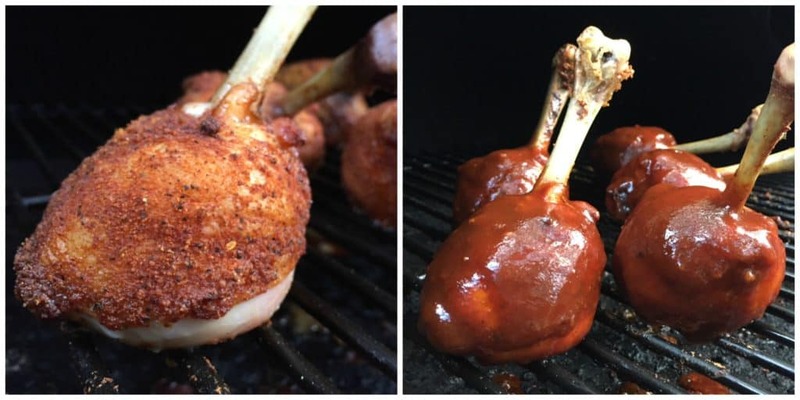 After an hour, dunk the meaty section of the drumsticks into a bowl of barbecue sauce. 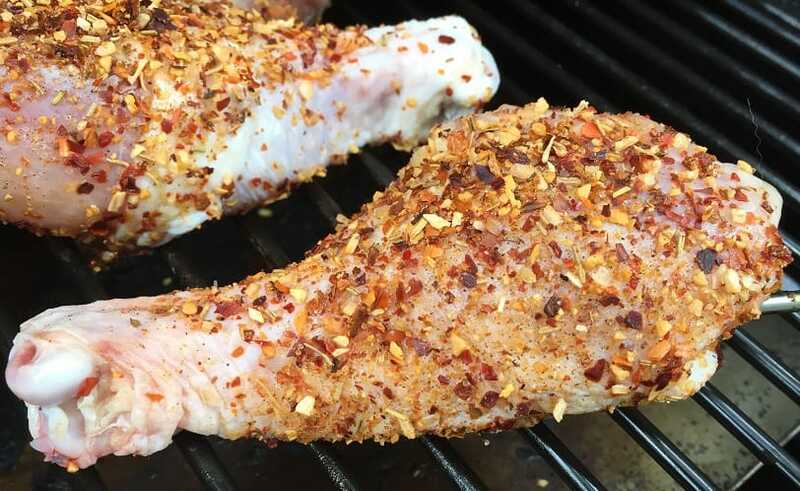 Return the drumsticks to the smoker and allow them to smoke another 30-45 minutes until they reach an internal temperature of 185F. Once the legs hit 185F remove them from the smoker, arrange for presentation and get ready to dig in! 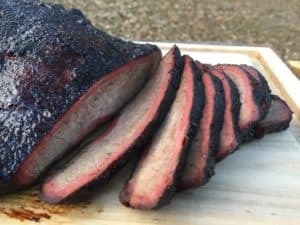 I used an oak/hickory pellet blend for this cook and was pleased with the mild smoke flavor profile. Cooking with pellet is absolutely different than using charcoal and wood chunks and I am still figuring out how to work the smoke profiles. If I had smoked these guys in my kettle then I would have used either maple or apple. Chicken can easily take up too much smoke if you have a heavy hand with the wood. The light smoke of a pellet cooker is a nice way to avoid this problem. 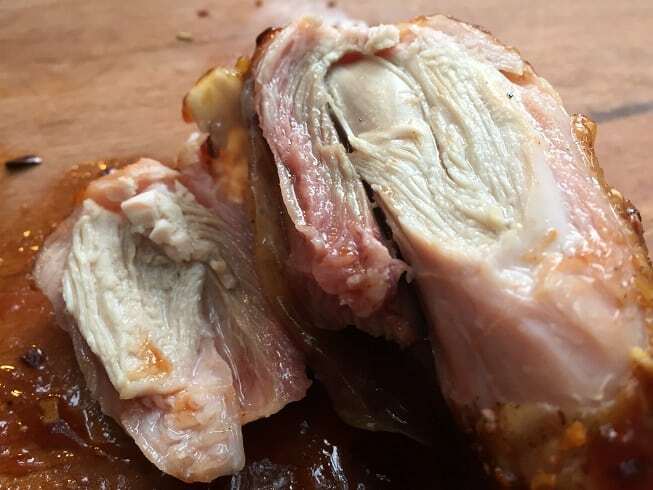 This general framework for how long to smoke chicken legs out to work for you regardless of whether you are cooking in an electric smoker, WSM or any other type of smoker as long as you are running at similar temperatures.